If you are a coffee drinker and a cat lover then the Japanese Nyan da cafe is just the place for you. The cafe is located in Odaiba, Tokyo and gives customers the opportunity to interact with up to 40 different types of cats while also sitting back and enjoying a warm cup of tea or coffee. The cafe consists of a variety of rooms each designed with a different atmosphere and theme which include a vet's office, pet shop and relaxation area. A portrait and profile of each cat is also located at the cafe entrance so you can read about all the different felines before meeting them. 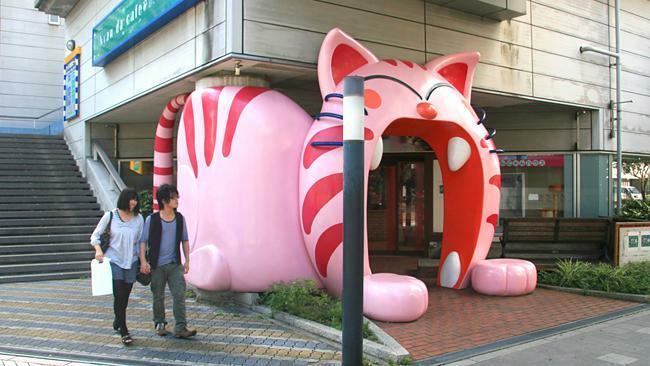 The cat cafe is not an unusual sight in Japan, with the country being home to around a dozen cafes that have the same cat themed idea as the Nyan da Cafe. If you’re ever visiting Japan it might be worth stopping in to enjoy this special cafe experience, it’s not every day you get to enjoy dining out with a bunch of furry friends!